Happy Friday! 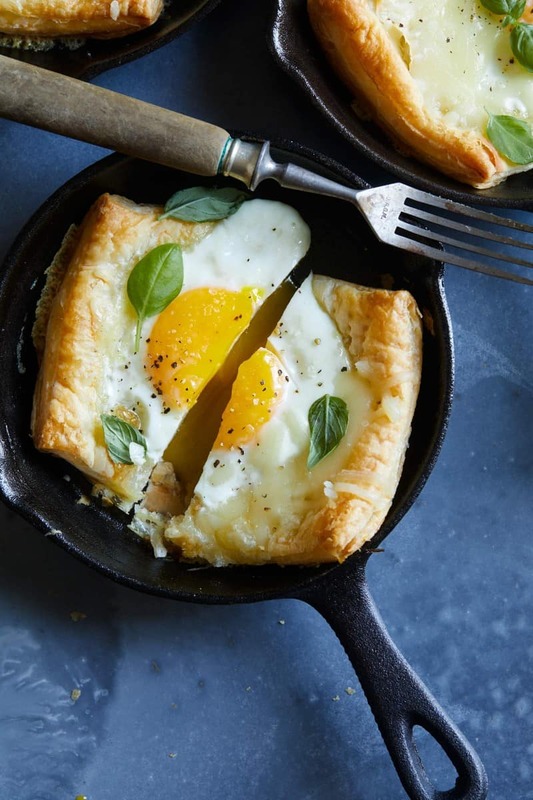 We have these cute little Simple Egg and Cheese Tartlets that are super easy to throw together, and make a nice and easy weekend breakfast that would be a great alternative to your regular situation whatever that may be! The best part of these tartlets is popping the runny yolk, getting some egg and pastry on the same fork and then dipping it into the yolk. Super good! Enjoy your weekend guys! 2. Unroll thawed sheet of puff pastry and divide into 4 equal squares. 3. Place each square into a mini cast iron pan (can use a baking sheet as well) and prick holes all over the bottom of each. 4. Place pastry squares in the oven and bake for about 8 minutes or until barely browned and puffed. 5. Sprinkle 2 tablespoons cheese onto the bottom of each pastry square, creating a small nest and fill each with a cracked egg. Top each egg with an additional 2 tablespoons cheese and place tartlets back into the oven. 6. 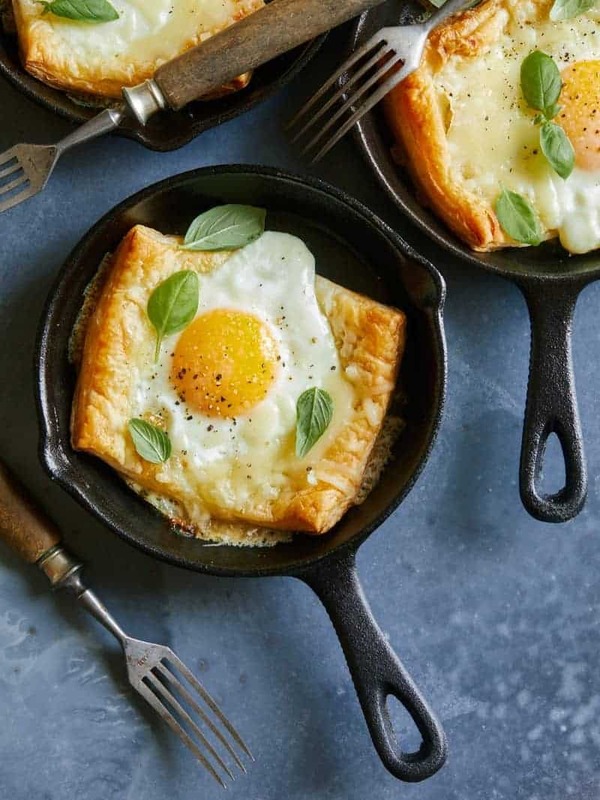 Lower the oven temperature to 375˚F and bake tartlets for 7 to 9 minutes or until pastry has browned and egg whites have set, but yolks are still runny. 7. Remove from oven and sprinkle with salt and pepper. 8. Top each tartlet with fresh basil leaves and serve.